Step 1 Pare and trim the artichokes, which should be of relatively uniform size. Step 2 Combine 1 1/2 quarts water with the olive oil, coriander, peppercorns, salt, lemon juice and bouquet garni in a large pot and bring to a boil. Step 3Add the artichokes. Bring back to a boil and cook for 8 to 10 minutes, or until tender. Step 4Transfer the artichokes and the cooking liquor to a large bowl to cool. At this point, you can either can the artichokes or store them in the refrigerator the way they are and use them, within a week or so, in composed salads, pasta dishes, etc. In Recipes-list.com we have selected the most viewed recipes from category - Appetizers Sides Vegetables Vegetarian . Enjoy the best recipes specially selected for you! 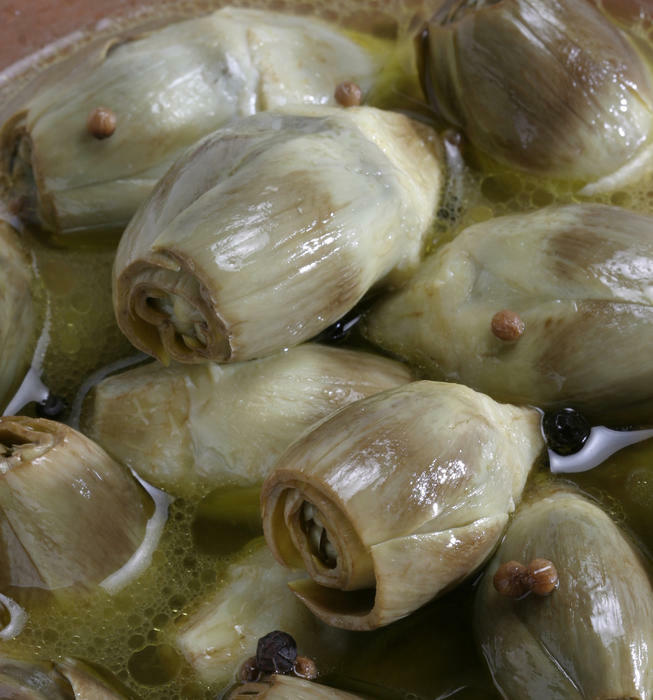 Artichokes a la grecque is the right choice that will satisfy all your claims.